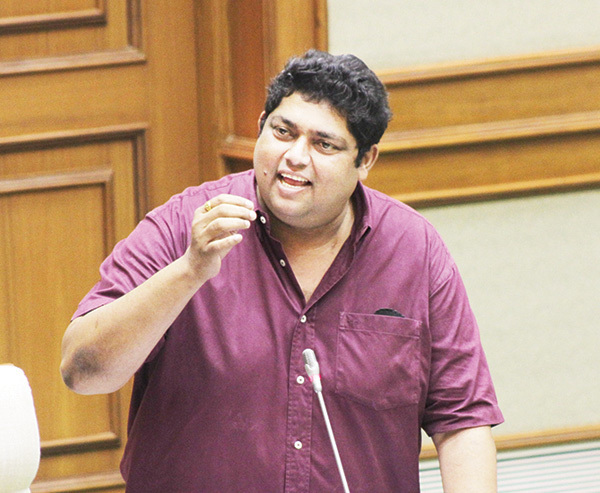 PORVORIM: As the State Legislative members on Thursday raised fear about students getting addicted to drugs, former Congress Chief Minister Pratapsingh Rane urged the Government to ensure that State does not turn into ‘Udta Goa’. Rane, senior congress MLA, opined that the teaching faculty and those associated with educational system be shown the Hindi movie ‘Udta Punjab’ to take necessary precautions in advance. “I caution you. We have seen ‘Udta Punjab’ movie, and I don’t want Goa to turn into Udta Goa. We need to be careful and take necessary steps,” the Poriem MLA said. He was speaking supporting the cut motion moved to the demand for Grants on Education. The MLA said that government should ensure security and safety of students from such anti-social elements. Participating in the discussion, Congress MLA Aleixo Reginaldo Lourenco also raised serious concerns about the students getting addicted to drugs. “This is very serious. There are allegations and rumours that drugs are sold openly near school premises,” he said. The Legislator requested the government to set up drug monitoring cell in the educational institutions to create education and awareness on the ill effect of drugs. “Government should also keep strong vigil in and around the school premises to curb if any such activities are reported,” he demanded. BJP Aldona MLA Glenn Ticlo and Alina Saldanha too raised the issue before the House. “We need to make sure that students don’t get addicted to alcohol and drugs,” Saldanha said. Meanwhile Calangute MLA pointing to the lack of infrastructure like toilets in various grant-in-aid schools, Michael Lobo urged government that the grants be given not just for salary purpose but also for developing and maintaining the infrastructure. He demanded that government should hike the infrastructure grants given to schools. Benaulim MLA Churchill Alemao called upon government to promote and encourage education for girls. “Even today, there are several families which feel that education needs to be imparted only for boys and not for girls. This is absolutely wrong,” he said. “If tomorrow circumstances like divorce, forces the girl to live a single life, then she needs to be competent to face the world,” he said.